Keystone Floor Products was founded as a linoleum distributor in the 1940s. Over the years, it developed into a full flooring distributor and relocated to its current location at 2969 Samuel Drive in Bensalem, PA in 1972. In 2005, AJR Flooring, LLC purchased the assets of Keystone and retained the naming rights and the majority of the staff. After that, expansion into diversified markets ensued. AJR Flooring, LLC, dba Keystone Floor Products, presently consists of six different sales divisions that sell and service all major sectors of the flooring markets: Keystone Contract (Multi-Family), Keystone Commercial, Keystone Builder, Keystone Aligned Commercial, Keystone Wholesale, and Keystone Retail (Area Rugs Unlimited). Each department has its own sales and service teams. Our product and marketing departments service these divisions with the best product recommendations, researching to ensure that Keystone’s customers are getting the best product at the best price, and with the most up-to-date options available. A fully-staffed accounting and credit department helps each sale go as smoothly as possible, even when larger financing is needed. And our sales reps are ready to call on you whenever you need them. Keystone has two locations to service customer needs. Our Main showroom is located at 2969 Samuel Drive in Bensalem, PA and we have a second builder showroom in Maple Shade, NJ (by appointment only). 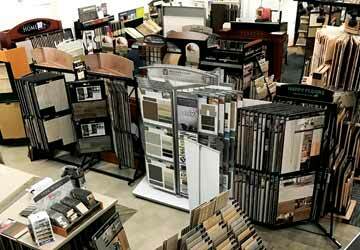 Each showroom is stocked with the best product offerings in the industry. 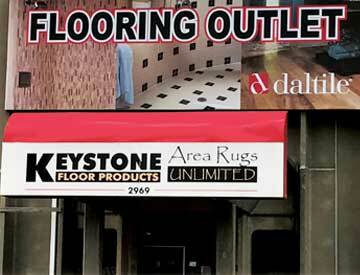 Our retail division, Area Rugs Unlimited, is located at the Bensalem, PA showroom. Our President and Owner, Arthur Seward, has worked in both the manufacturing and service sides of the industry. A graduate of Rutgers University, Art has nearly 30 years of experience in the Floor covering business, and he has surrounded himself with some of the best flooring professionals on the East Coast. The future is bright at Keystone Floor Products, and we look forward to serving the flooring industry for many, many years. Stop by and see us today! 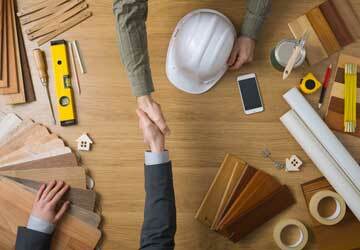 Join the Keystone Floor Products team. Learn more about our showroom - then, come see us in person! Area rugs and more for retail and residential uses. Visit Philly's largest area rug gallery!